ARE YOU READY TO BRING CLARITY AND UNITY TO YOUR MONEY? Money causes more marital conflict than perhaps anything else. Most couples lack a united vision for their money, let alone a plan for achieving it together. What dreams do you have for your life together? Are your finances getting you there? Does your use of money reflect what’s most important to you as a couple? Invest in your relationship and your future by creating a joint financial plan that will orient your money around what matters to you most. Through interactive worksheets, instructional videos, and guides to the essentials of personal finance, this 6-part course will walk you step-by-step through creating a joint financial plan and equip you to achieve your financial goals. WE'RE IN! Let's get MERGED. MERGE is designed primarily for engaged and newlywed couples. However, any couple (new or old) that wants to create a united front around money will benefit from the course. Any two people in a relationship bring to the table different sets of money experiences, preferences, strengths, weaknesses, and priorities. You’ve probably already encountered some sticky money conversations through dating, engagement, and wedding planning. Let me help you create a united vision and plan for your money that will reap benefits for years to come. On a personal level, I get it. My husband and I have been together for over 10 years and have run into the same questions, tensions, and problems around money you have. We’ve moved, changed jobs, started businesses, raised kids in an expensive city, navigated extended family, and cared for aging parents. Professionally, I’ve seen it all. 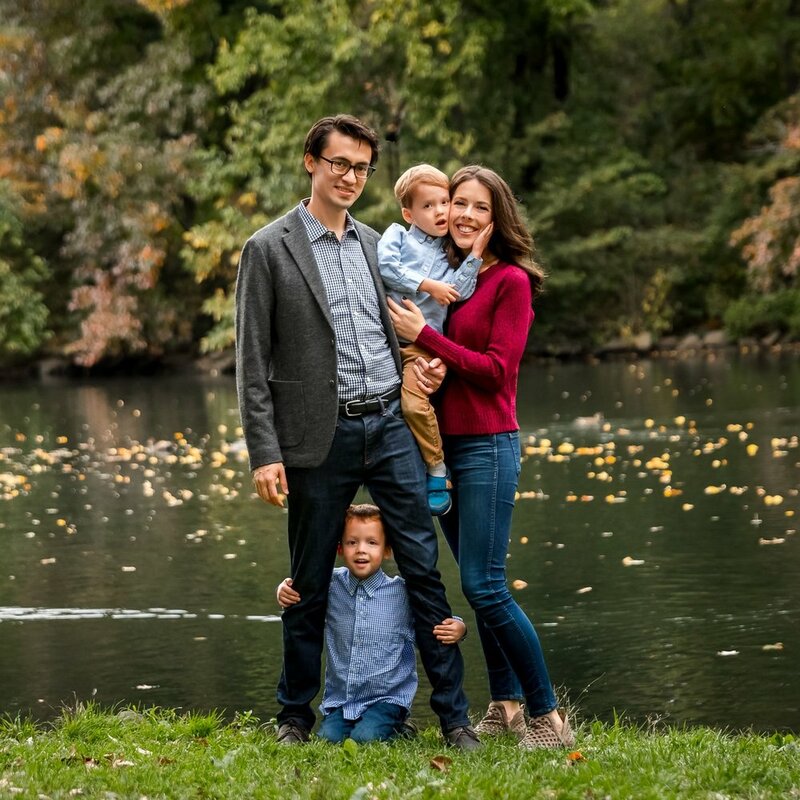 In nearly a decade of working as a financial planner in New York City, I’ve walked alongside hundreds of couples and helped them navigate the art and science of managing their money and dreams. This course distills into one package the essential answers to the most common questions and needs I’ve observed over the years. I am a fee-only CERTIFIED FINANCIAL PLANNER™, a CPA, and the founder of Ford Financial Solutions, LLC in New York City. I specialize in working with young couples and families navigating the many life transitions that occur in their 20s and 30s. Determine your combined net worth. Learn the essentials on credit reports and scores. Identify the values that drive your individual and collective financial decisions. Establish your shared values regarding money. Set your joint financial goals. Create your own joint budget. Establish roles and routines to manage your financial world. Merge and organize your bank accounts. Absolutely. We will offer a full refund to couples who complete the entire course and are not satisfied. Please provide us with your completed checklists, worksheets, and spreadsheets (within 2 weeks of completing the course) and share your feedback, and we’ll be happy to offer a full refund. What if we have questions during the course? What if we need help after we complete the course? For couples that complete the course and all course materials—checklists, worksheets, spreadsheets—you may engage Julie for a one-on-one planning session at a discounted rate. Prior to the call, she will review your course work and questions and will come prepared to provide immediate recommendations and guidance unique to your situation. Yes, we want to MERGE today!